Long before our childish bubble was burst and we figured out that baseball cards were nothing more than a commodity that could be bought and sold at card shows, there was a junior collector in all of us. We used to spend all of our weekly allowance on packs of cards and a can of soda at the local convenience store or pharmacy. We experienced the anticipation of opening the wax paper pack, praying there would be something of value within the fifteen cards. The dried up gum in the back of the pack was usually cracked into pieces, and there was always a fair share of useless Stan Javier or Calvin Shiraldi cards that we had no idea what to do with. It was actually a lot of fun. Here is a nostalgic look back at Topps trading cards knowledge that should make you yearn for those simpler days. It’s names ‘Topps’ was meant to indicate that it would be ‘tops’ in its field. How incredibly innovative. And we thought ‘Kramerica’ was a great name. In 1951 sent contained 52 cards (Red Backs and Blue Backs), like a deck of playing cards. The cards could be used to play a head to head game that would simulate the events of a real baseball game. The leftover 1952 cards were dumped into the Atlantic Ocean off of the Jersey shore. The cards included Mickey Mantle’s first Topps card, the most valuable card of the modern era. The language of early Topp’s contracts with players focused particularly on the rights to sell cards with chewing gum, which had already been established in the 1930s as a popular product to pair with baseball cards. Gum was dropped from baseball card packs in 1992, and brought back in their ‘Heritage Line’ set in 2001. The gum in the Topps packs was as hard as a rock. If the gum wasn’t hard they would have ‘buckled’ during the production process. When Topps included it in their 2001 ‘Heritage Line’ set – the gum was soft. That’s progress. One of the most prominent errors, Topps reversed the negative on the 1957 Hank Aaron card, showing baseball’s future home-run king batting lefty. The 1969 card of California infielder Aurelio Rodriguez is actually a picture of the Angels’ batboy. In the 1970s when Kellogg’s began producing ’3-D’ cards and inserting them in boxes of breakfast cereal. Topps never considered the Kellogg’s cards a threat and took no action to compete against or stop them. In 1974, Topps changed ‘San Diego’ to ‘Washington’ on the cards of 15 players as they thought the team would relocate. The Padres stayed in California and thus got to experience the Bip Roberts era. In 1985, Gary Pettis’ teenage brother is pictured instead of the Angels outfielder. Topps also created two sets of cards for the short-lived United States Football League in the 1980′s. Steve Young, Jim Kelly, and Reggie White had their Rookie Cards produced in these sets. Topp’s foray into satire resulted in ‘Wacky Packages’ (a takeoff on various household consumer products), and the ‘Garbage Pail Kids’ (a parody of the Cabbage Patch Kids Doll). 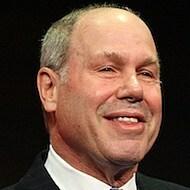 Former Disney head Michael Eisner now owns the ‘Topps’ company. He bought it in 2007.